[DevOps / DevCloud] Wanna go beyond 'demo effect' and push your app into REAL production ? Things seem to be so easy, because we got presented trivial demos or we only considered "Proof Of Concepts". As it seems to be so easy to develop and market our application! Watch out!! Have you thought about the following? The IT industry is moving so fast that to beat competitors, many software companies are claiming they can address your problem and is only presenting you trivial cases and we tend to focus only on development aspects. .
No budget beyond development, to address many operational topics!! You forgot to consider backups, disaster recovery, SLA, maintenance, and retirement of the application (with the associated cost of the cleaning up all backups). This is to force you address topics that could be uncovered... and fail fast if you are stuck in front of a wall! Easy to say, what can I do about it? 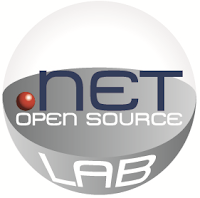 Based on my numerous ALM experiences and on experts around me, I have created a Microsoft .Net Lab. or find a hack around.